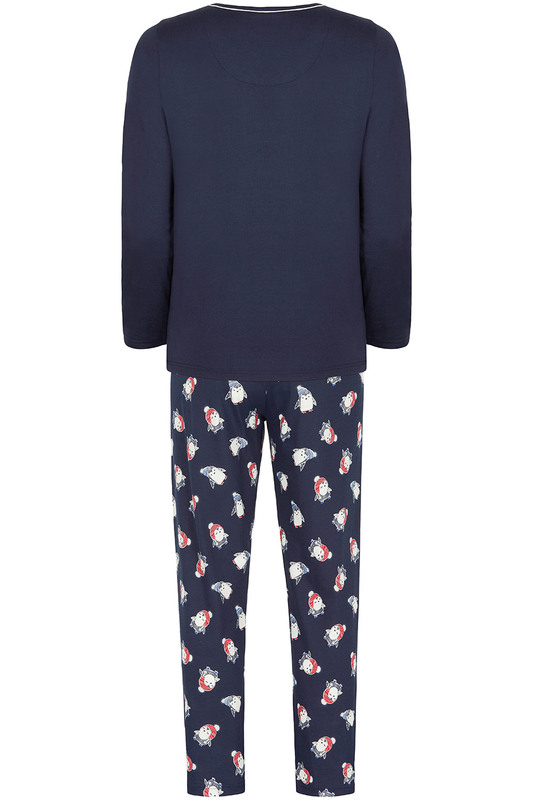 Embrace the winter season with these cosy and characterful pyjamas. 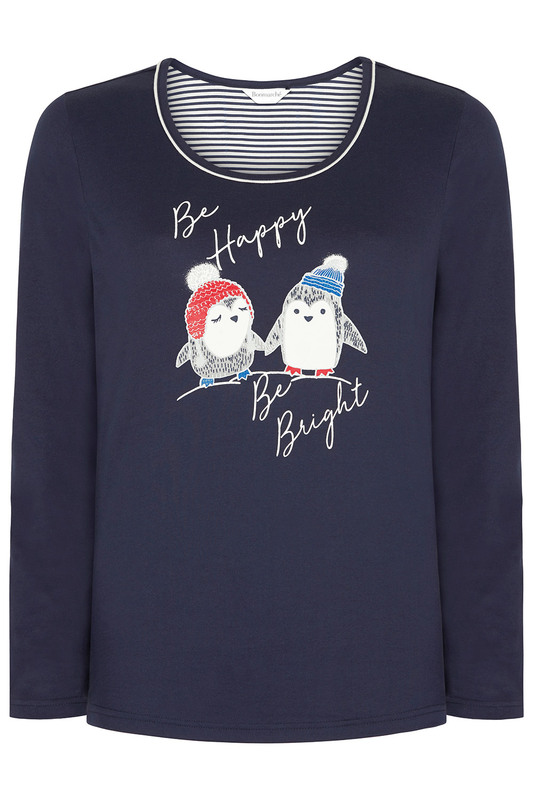 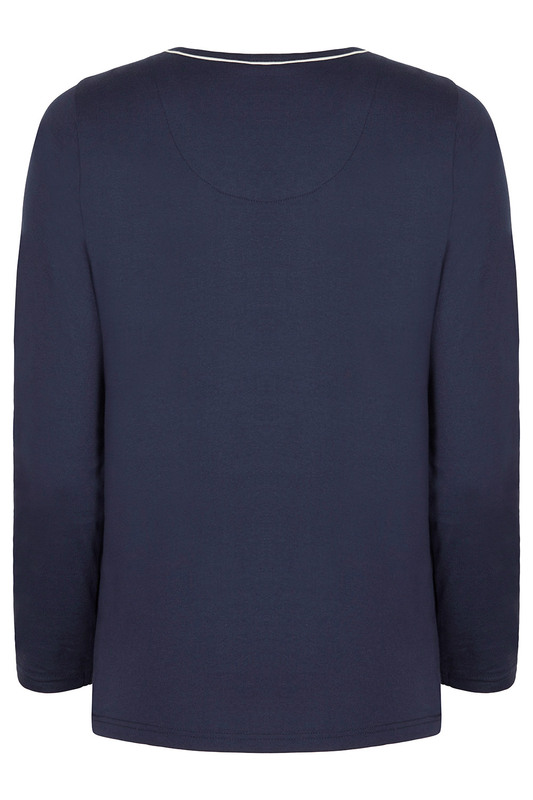 The round neck top has long sleeves to keep you warm and features a fun penguin placement print with a jolly slogan. 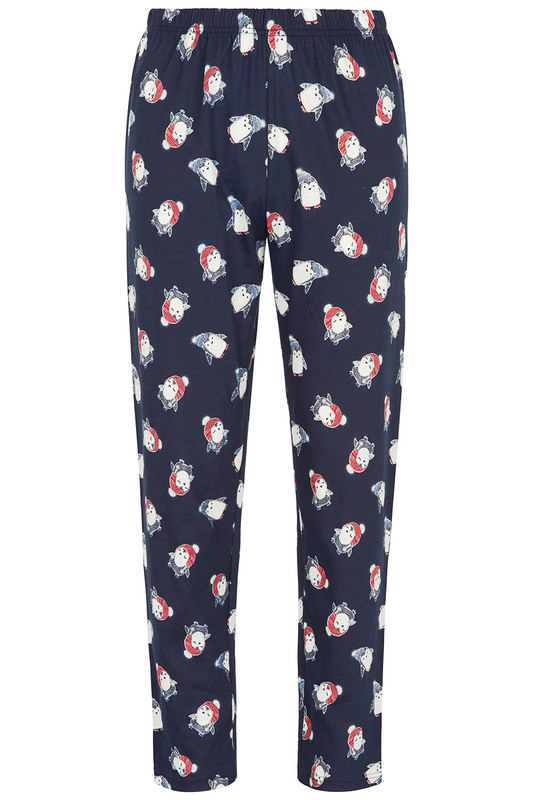 Pull on the tapered bottoms for maximum comfort at bedtime. 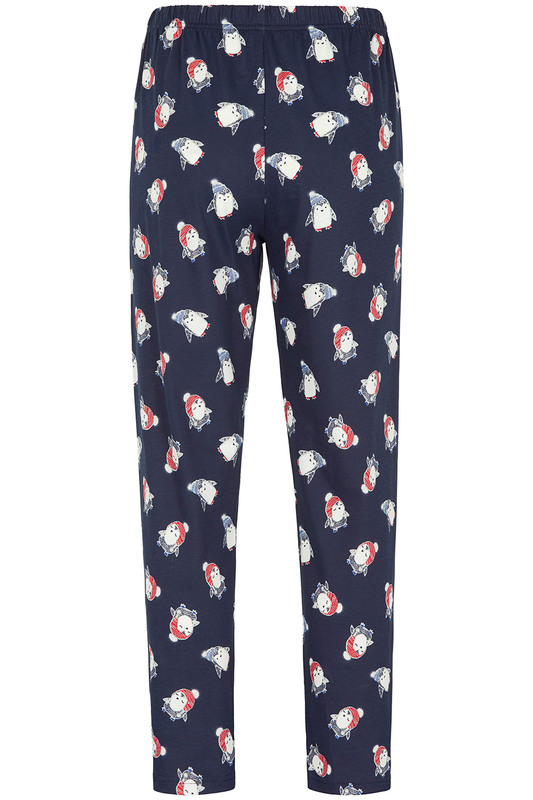 The all-over penguin print is colourful and festive. 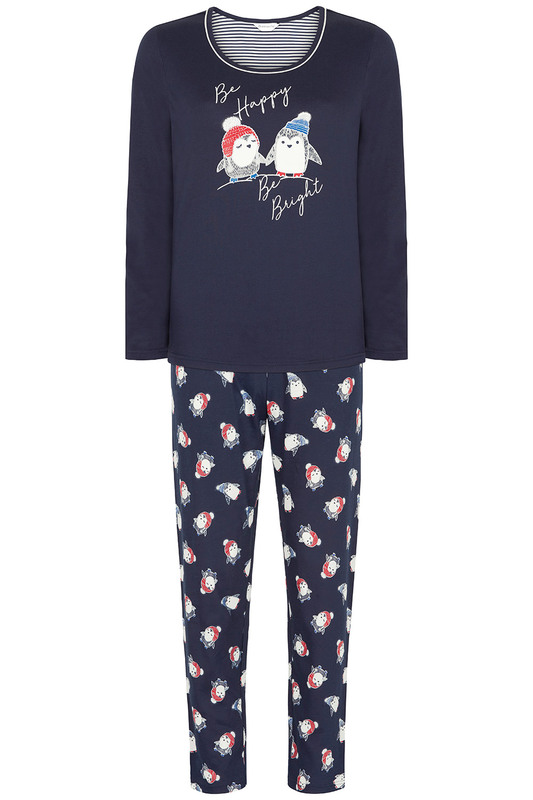 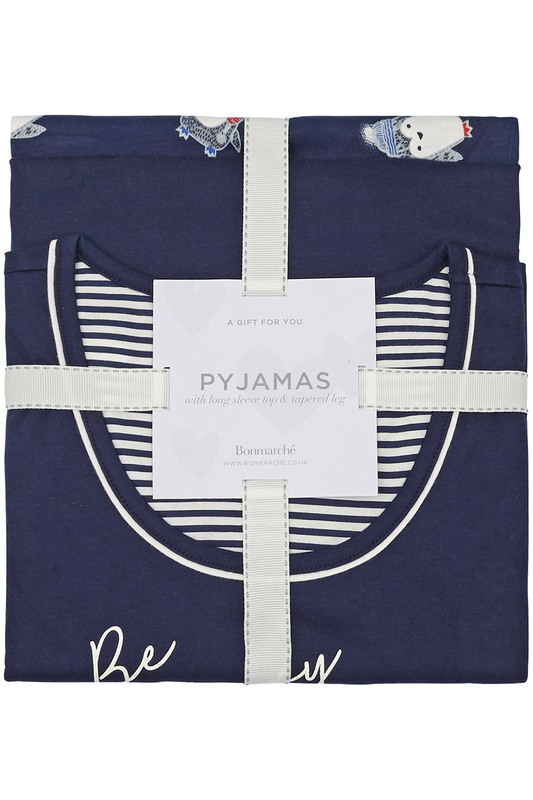 Made from pure cotton, these pyjamas are supersoft, and will make the perfect gift.